Factory shipped from a warehouse near you. This item ships by truck and you must have a way to unload the truck! This item will not fit on a Liftgate! This item ships by truck and you must have a way to unload this off the truck! This item will not fit on a Liftgate! 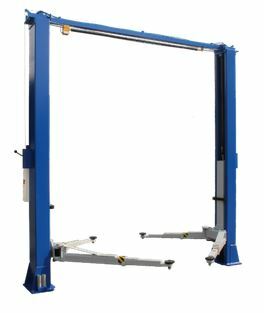 Width Overall w/Power Unit 145-1/2"
Engineered and built to offer great features at an economical price, the TP-11KC-DX features and designs will make this the most used lift in your garage. 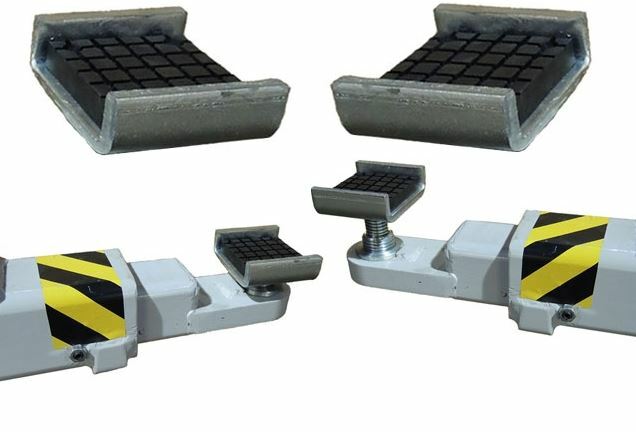 With versatile user-friendly Bi-Symmetric™ Configurable arms, 3 stage front arms, symmetric columns, single point lock release, low profile arms, rubber door guards and spin up pads with 2 " and 4" stackable truck adapters offers everything you'd expect and more! 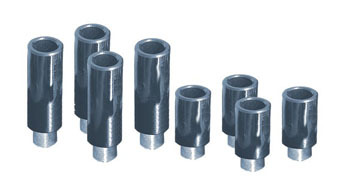 Free Stackable Truck Adapters Set of 4 each: 2" & 4"
BUFFALO COMES WITH a 1 year, parts only warranty. BUFFALO belongs to the very best at offering the warranty / parts support that you need. BUFFALO stocks over half a million dollars worth of replacement parts in their warehouse in TX. so we know that taking care of warranty is key to keeping our customers happy. 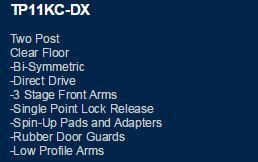 Click the button below to add the Buffalo TP11KC-DX 11,000lb. 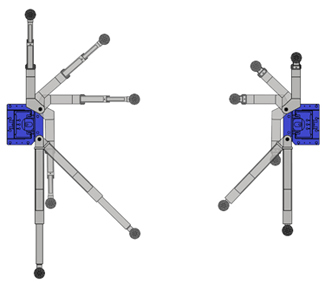 Capacity Direct Drive Bi-Symmetric-3-Stage-Single Point Auto Lift to your wish list.